Results: 1 to 10 of a total of 662 results. I'm a lover, and looking to find an AMAZING connection with a special individual for a long term commitment. Lover of ALL fauna/flora. Does miasma belong in this group? Does coleharmoni belong in this group? 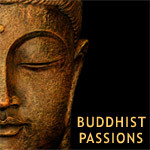 Does buddhasfindlove belong in this group?